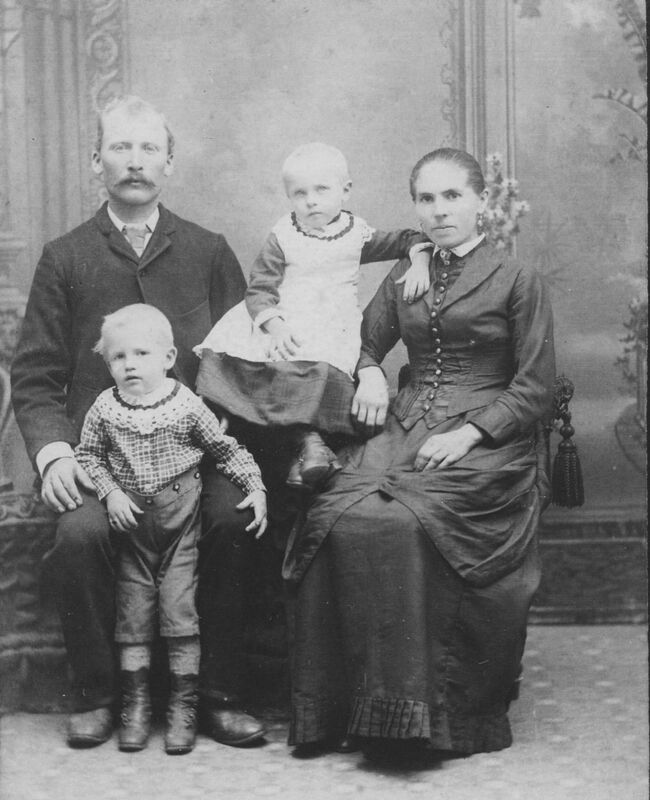 Johann Fredrick Rueck was the fourth of twelve children born to Jacob and Maria Regina (Gross) Rueck, born in Steinbach, Oberamt Crailsheim, Württemberg, on 5 August 1860. Fred immigrated to America with his family in about 1880. 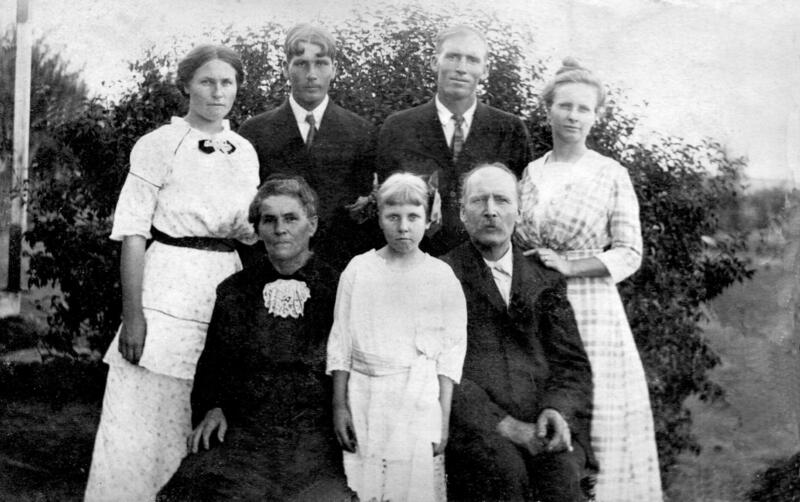 The Ruecks lived near Schumm, in Van Wert County, Ohio, for a couple of years. Most of the family then moved to Oregon, except Fred and his sister Christena. Christena married Jacob Miller and they resided in Mercer County. They were my great-grandparents. 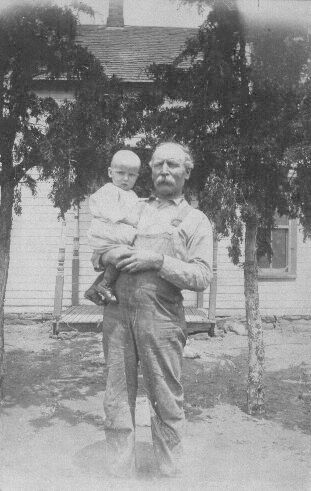 Christena’s brother Fred was my great-granduncle. Fred left Van Wert County and went to Chicago, where he worked as a butcher for a short time. In 1884 he traveled westward to Kansas and changed the spelling of his surname from Rueck to Ruck. While in Kansas he met and married Mary Prollock. Mary was born to Michael and Eva Prollock on 4 November 1861 in Germany. She immigrated with her family in 1883 and they settled in Clay Center, Kansas. A year later, in 1884, she and Fred married. 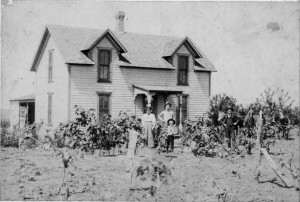 Fred and Mary lived in Kansas about six years before moving to Orlando, Oklahoma, in about 1890. Fred homesteaded 160 acres of land in the Oklahoma Territory, located in the southeast quarter of Section 9, Township 19 North of Range two West of the Indian Meridian in the Oklahoma Territory. 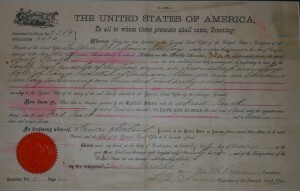 His homestead certificate is dated 26 December 1896. 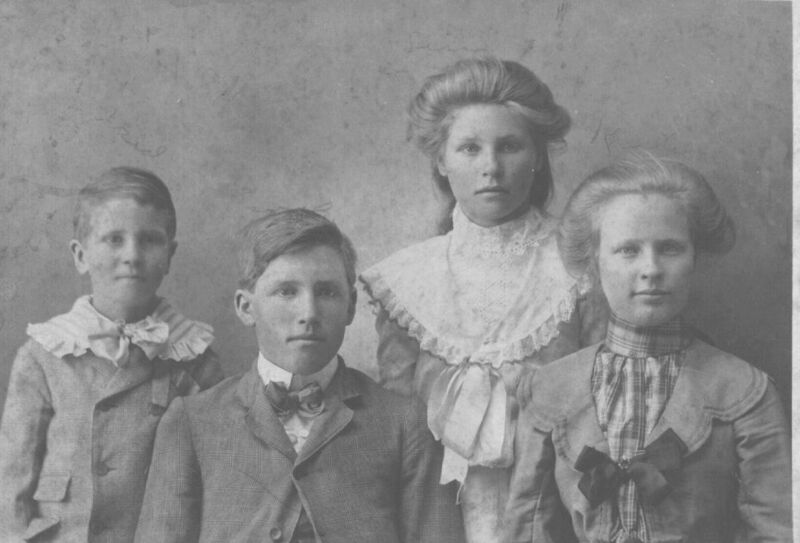 They lived the rest of their lives on their Oklahoma farm. Fred Ruck was known as the local veterinarian in the Orlando area and was elected Logan County road-overseer during 1892, 1896, 1898, 1900, and as trustee in 1912, 1914, and 1916. 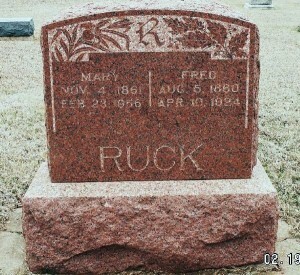 Fred Ruck died at his home near Orlando at 3 p.m. 10 April 1924 at the age of 63 years, 8 months and 5 days. Mary was a charter member of the Zion Evangelical Church west of Orlando and attended services in the Dierolf home before the church was erected. She was the oldest member of the Evangelical United Brethren Church in Orlando, which later became the Methodist Church. Died at home at 3 P.M.
Fred Ruck, born at Steinbach Wuertemberg, Germany, August 5, 1860, died at his home near Orlando, Oklahoma, at 3p.m. April 10th 1924, aged 63 years, 8 months and 5 days. 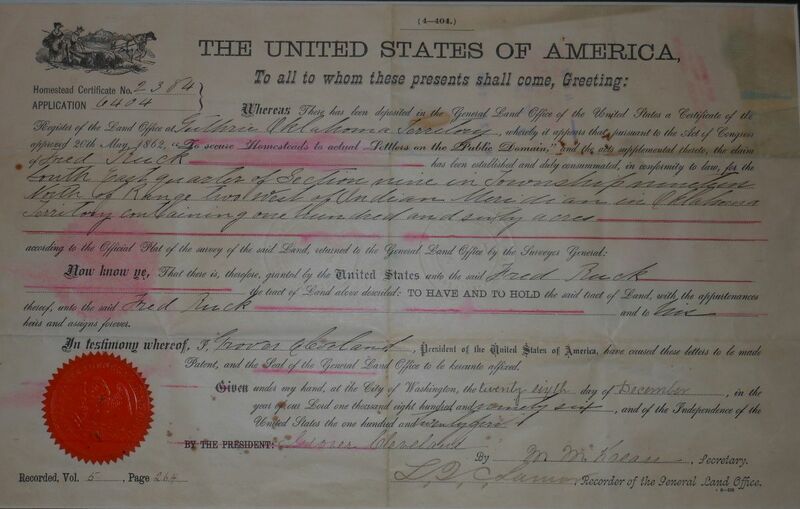 He came to America with his parents in 1880 and settled in Ohio. 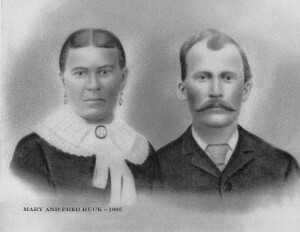 He moved to Kansas in 1884 and was united in marriage to Mary Prollock the same year. To this union was born seven children, two of these preceding him in death. In 1891 the family moved to Oklahoma and settled on a farm near Orlando, where he made his home until he departed this life. Mr. Ruck was converted under the labors of Bro. Nannings and remained a true believer in Jesus Christ throughout his life. He was always ready and willing to give a helping hand at all times. He leaves to mourn his departure a wife and five children, namely, Mrs. Katie Wait of Sawyer, Frank Ruck of El Dorado, Kansas, Mrs. Lena Frey, Fred and Marie Ruck of Orlando, also 11 grandchildren, four brothers and three sisters and a host of relatives and friends. He endured his suffering patiently until the death angel called to his eternal reward. United Evangelical Church at Orlando. Rev. E.A. Pauli will officiate and burial will be in Zion cemetery, west of Orlando. Smith funeral home is in charge of the arrangements. 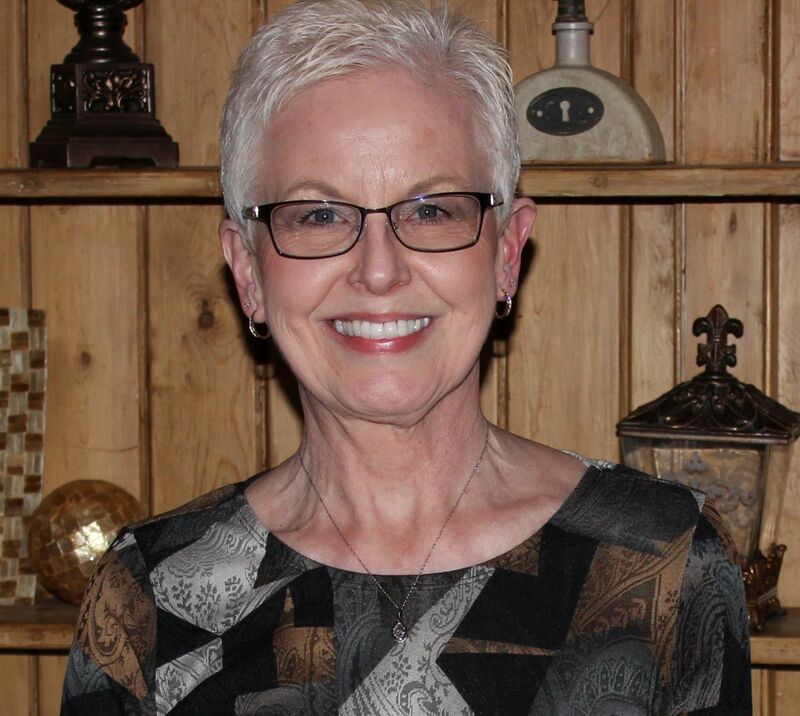 Mrs. Ruck died Thursday morning at the home of her daughter Mrs. Lena Frey in Mulhall. In addition to Mrs. Frey, she is survived by two sons, Frank Ruck of Eldorado, Kan., and Fred Ruck of Orlando; and one other Daughter Mrs. Marie Scott of Orlando, 17 grandchildren, 40 great grandchildren, and two great great grandchildren. A son and a daughter died in infancy. Thank you to Fred’s great-granddaughter Joyce for supplying the photos and most of the information about Fred and his family. From notes taken at Mary (Prollock) Ruck’s funeral, 27 February 1956, notes taken by E. A. Pauli for Mary’s daughter Marie (Ruck) Scott, who was deaf. Orlando Clipper, Orlando Oklahoma, 18 April 1924. 1900 U.S. Census, Orlando, Logan County, Oklahoma, ED 144, p. 6B, dwelling 114, family 116, Fred Ruck; digital images by subscription, Ancestry.com (www.ancestry.com : accessed 2 June 2014), from FHL microfilm 1241339, from NARA microfilm T623, roll 1339.